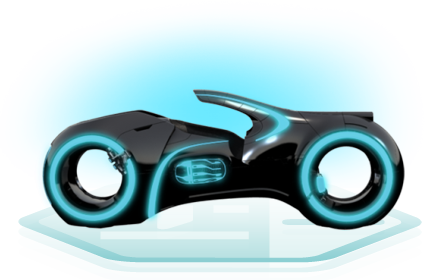 Kevin Flynn was able to transfer his old light cycle into the new TRON system — with a few upgrades. 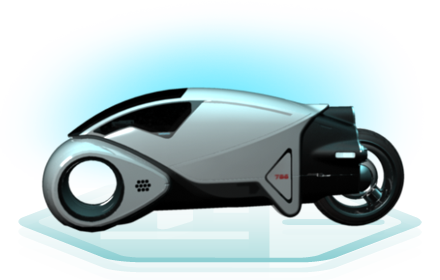 It is one of the few vehicles in the TRON world that is persistent (a fancy way of saying it doesn't require a baton to create it). Its speed is unparalleled. 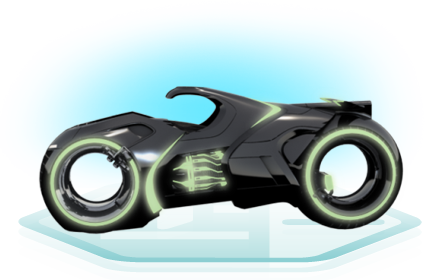 Clu's light cycle comes with special programming that gives it some unique offensive abilities. It is easily identified by its unique bright yellow color. Light Cycles are powered by a program's energy and generated from each program's baton — an incredibly high-tech multi-tool that can be encoded with a variety of tools. Light Cycles are complex machines that are incredibly fast and agile two-wheeled vehicles which generate light ribbons — near-indestructible barriers. These cycles never break, but derezz upon destruction, requiring the program to use more of its own energy to create a new one from its baton. There is only one light cycle in the Grid not created from a baton — Kevin Flynn's original light cycle transferred from the old Tron System. The Light Runner is a heavily armed personal recreational vehicle with a flip-up canopy. 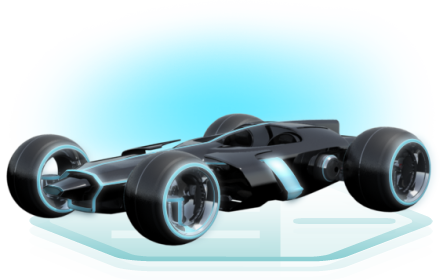 Essentially a high-tech dune buggy, it's slower and less maneuverable than a Light Cycle, but tougher and able to handle all types of terrain. 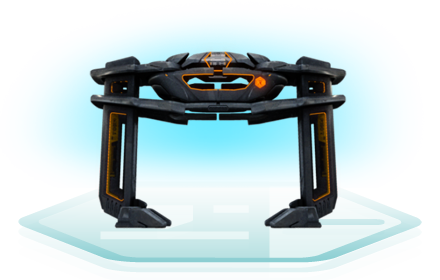 It also can generate a light ribbon which is larger than those generated by light cycles and packs other offensive weapons. Enormous arc-shaped vehicles (or upside-down U's if you want to look at it that way) that fly and patrol the Grid to maintain order by capturing, derezzing, or generally preventing troublesome programs from breaking the rules or escaping the Grid.